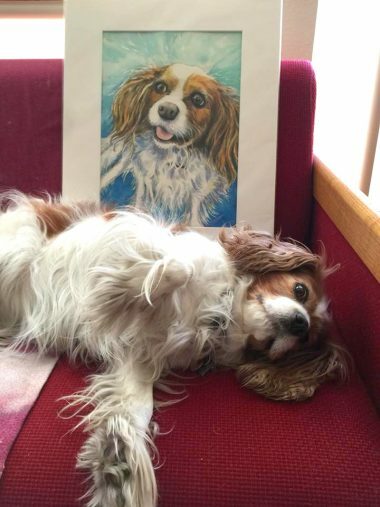 Just met with my client last evening to hand over the finished “Portrait of Lady” – and today I get this great photo of Lady and the portrait meeting in real life! Doesn’t get much better than that! Thank you Jonathan and Lady!